HOUSTON, TX – Jan. 16, 2018 – Synergistx and BlueEQ ™ are pleased to announce their strategic partnership designed to help companies create psychological safety in the workplace. Synergistx, an expert in corporate learning as well as leadership development, and BlueEQ ™, the organization behind the world’s most accurate, comprehensive, and powerful emotional intelligence self-assessment and workshop, are integrating their expertise to present an overall, holistic approach to employee development, retention, and overall satisfaction. Traditional assessments and reviews typically begin with managers who, in turn, present the outcomes and recommendations to the individual employees. This approach often results in unmotivated employees. However, BlueEQ ™ and Synergistx’s solution starts with the individual employees and they, in turn, drive their own development. The BlueEQ ™ heat map it is specific to each individual’s needs and desired outcomes. Due to this, improvement becomes personal for the employees. 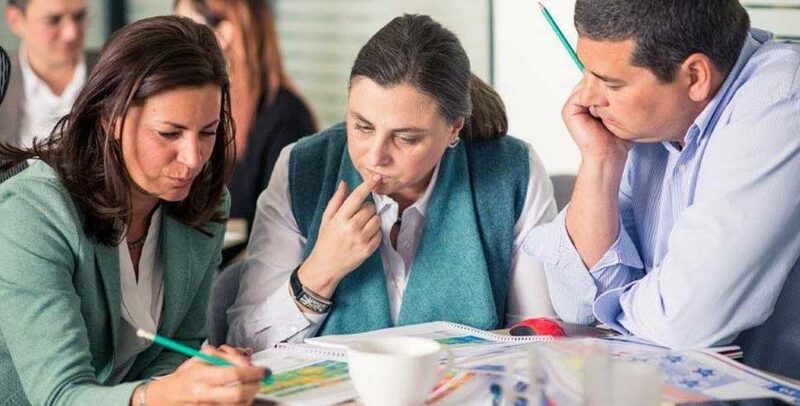 Companies do not want to needlessly spend money on learning and leadership development that may or may not meet the needs of their employees or the organization. 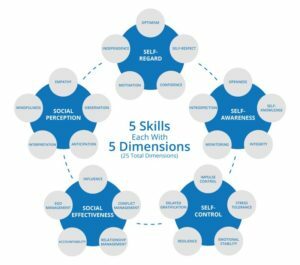 Furthermore, the assessment explores each of the five dimensions within those skills as specific to the individual. This allows a quantifiable measurement areas of strengths and weaknesses. Similarly, it identifies areas of opportunity for building strong culture and personal accountability. Understanding these measurements is necessary to execute company strategy. The partnership between Synergistx and BlueEQ ™ will completely transform organizations. With this in mind, we provide a best-in-class assessment tool. Importantly, leadership development associated to create workplace safety and overall company-wide success follows. BlueEQ™ is the world’s most accurate, comprehensive, and powerful emotional intelligence self-assessment and workshop. A team of industry experts, social and behavioral scientists, and instructional psychologists participate in content design. Additionally, independent psychometricians validate the content. The BlueEQ ™ emotional intelligence test, combined with the workshops, coaching, and consulting, is the fastest and most precise way to increase your emotional intelligence. To begin with, Synergistx provides enterprise level solutions; and has for over 25 years nationwide. Additionally, Synergistx is an industry expert in knowledge transfer and retention. With this in mind, we optimize business performance through innovative training and technologies. As a result, we see increased productivity and sustainable business outcomes. To learn more about either emotional intelligence or psychological safety in the workplace or to schedule a free consultation, please contact Synergistx with the information provided below. Do you still have questions about emotional intelligence training, and its benefits?